“The taxi driver wouldn’t follow the directions you provided. He said, ‘Moros y Cristianos’ and ‘impossible,’ then stopped, unloaded our luggage and told us to get out. We don’t know where we are.” This was the first comment from my friend who had just arrived in Altea from California. In addition, the WhatsApp wouldn’t work for her, so I hadn’t gotten any of her prior calls. Having not heard from them at the expected arrival time, I then called her via regular (expensive) international mobile rates, which is when I received her panicked statement. In anticipation of the arrival of my two girl friends from California, I fretted over possible, or should I say probable, problems with the cab driver getting to my apartment during the annual Moros y Cristianos (Moors and Christian) festival. This was not my first problematic experience with Spanish cab drivers. My fear was realized, in spite of spending several days providing a map and writing out the directions in Spanish (and English so my friends could see if he was going the right way.) At the beginning of the directions was the admonition in Spanish (which my friend read aloud) not to go the usual way due to the Moros y Cristianos festival. 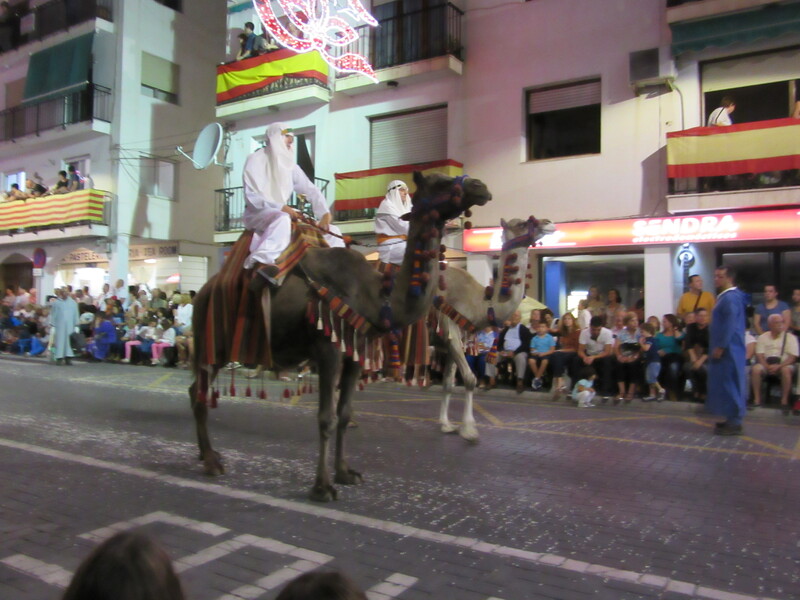 In response, he simply entered my address into his guidance system, and drove to the starting spot of the parade, at which point he dropped them off on the highway (Carretera 332) that runs through Altea. 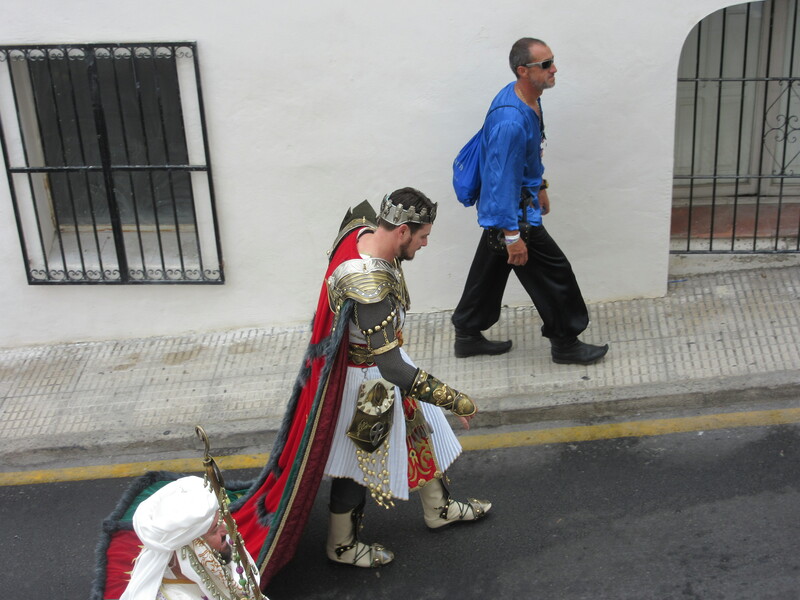 After eventually figuring out where they were, I found them near the start of the Moros y Cristianos parade route. With luggage in tow, we then proceeded to the seats on the parade route a local friend had saved for us. 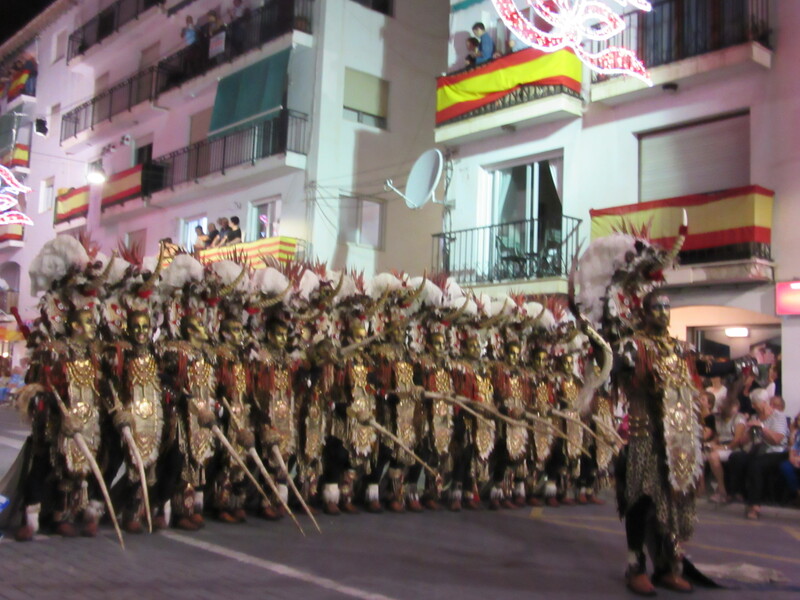 Although I had told them they would be in Altea during the Moros y Cristianos festival, they had no idea of the magnitude and pageantry of it. The festival commemorates the Christians reconquering the areas of Spain that had been conquered earlier by the Moors. The festival culminates with evening parades, first the Moros, the next day a solemn religious procession, and finally the Christians. After those parades, the filas return to their home sites where they continue to party until the early hours of the morning. In addition, there are live music/dance venues that start after midnight and go for many hours. I don’t know how they can stay awake that long, let alone, party that intensely. Tellingly, on the day after the festival ends, almost all of the local businesses are closed, apparently for recuperation and clean up. 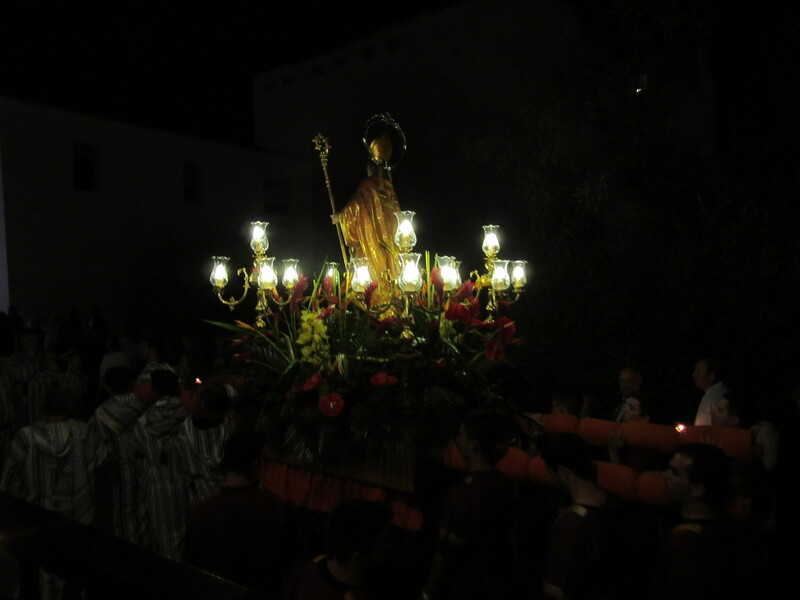 My friends were thrilled with the Moros y Cristianos festival, as well as many other aspects of Spain, including the friendly international locals, the many varieties of activities, day trips to other towns, fabulous food and the ambience of beautiful Altea. Indeed! They are now safely back in SLO (San Luis Obispo) county.